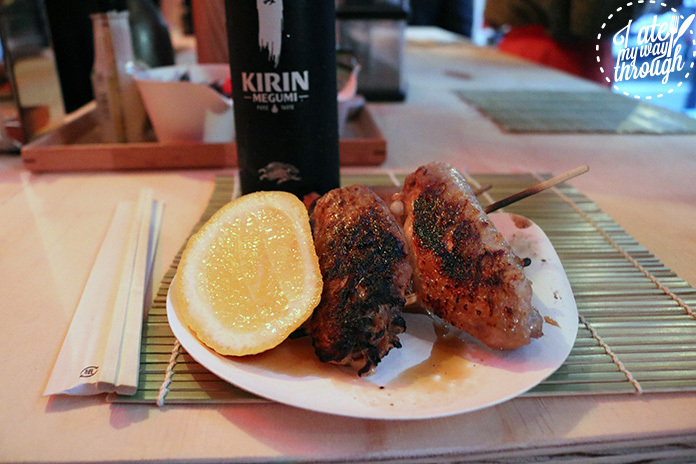 Fancy a trip to the food and bar scene of Tokyo but without the hassle of travelling there? You’ll want to hear about Kirin and ivy’s latest brainchild. 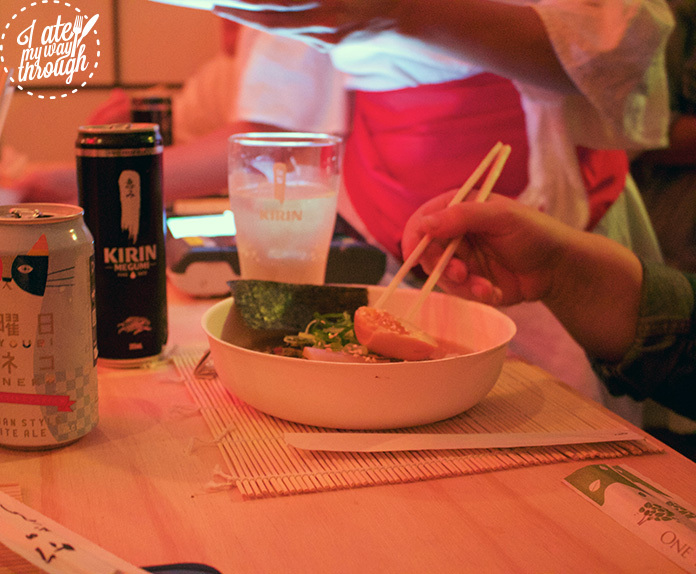 Tiny Tokyo is everything that you would want from a trip to Japan but in the centre of Sydney. 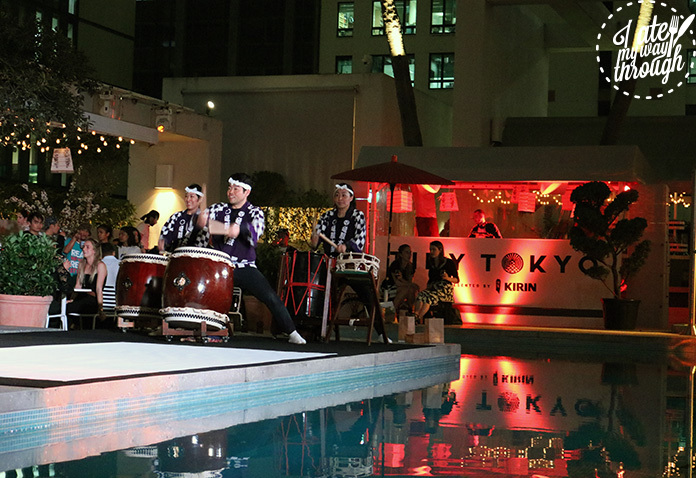 Say konnichiwa to the Pool Club’s cabanas which have been transformed to resemble the Golden Gai area of Tokyo, with a range of Japanese food options, Kirin are providing the good with their range of beers and ivy is putting on a show with interactive Japanese entertainment. First of the four food stalls is the Vinyl and Teriyaki bar. Here you can order chicken skewers ($10) and watch the chef fan at your order on the grill. You get one Teriyaki and one salt and pepper skewer per order, however you actually receive two wings of each so it works out quite well to share as an entree or to accompany your main meal. Both had great flavour from being grilled on the open flames, but for the seasoning I preferred the salt and pepper. Something about the simplistic flavours really pleased my taste buds and paired well with the delicate fruit and mildly bitter flavours of the Kirin Megumi beer. Onto the next, the sushi and nigiri bar. Asking for a plate of sushi and nigiri ($15), you will be presented with a tuna nigiri, a prawn nigiri and a California sushi roll. For our vegetarian friends, you will receive three pieces of tamagoyaki (egg) sushi. The sushi was nice and fresh, and it’s always a treat to watch the chefs prepare it in front of you. 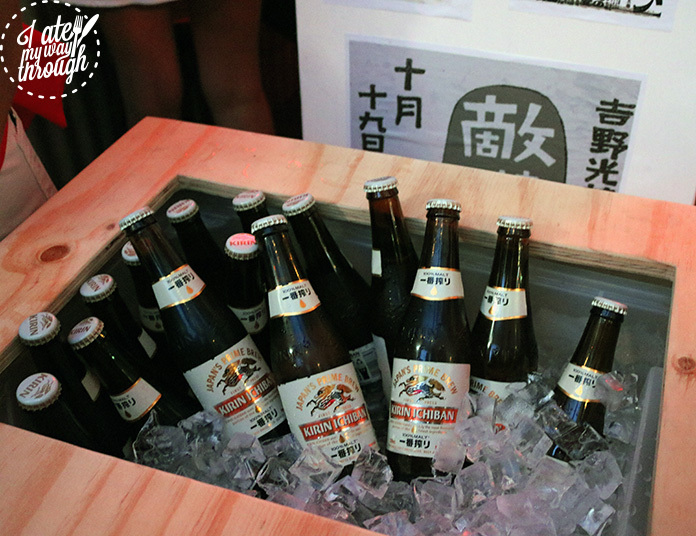 The Kirin Megumi beer is perfectly suited to pairing with seafood and fresh sushi so my suggestion would be to relish the two together. 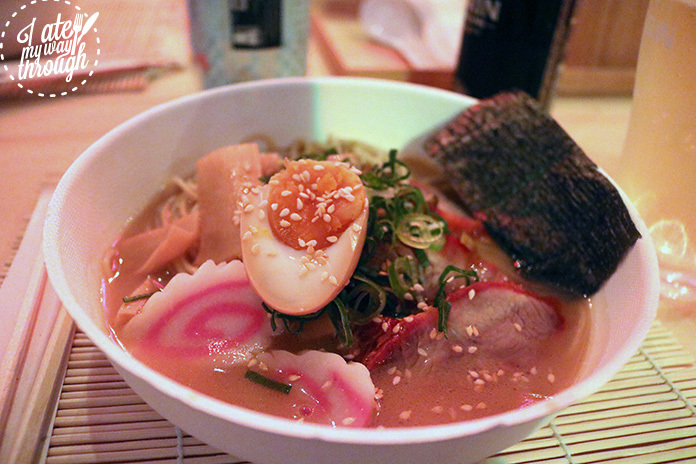 For the main dish, head down to the traditional ramen bar to be served up a steaming hot bowl of soup. You can get pork or vegetarian ramen bowls ($10), I opted for one of each to get the best of both worlds. The pork is served with the succulent meat, an organic soft egg, pickles, nori and sesame. The vegetarian is with fried tofu pieces, an organic soft egg, pickles, comb dash and sesame. 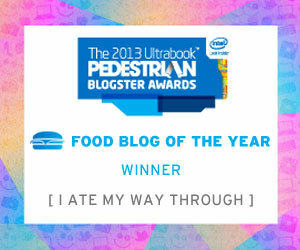 Both were full of flavour from the broth to the toppings, and for the price were great value. Last, but certainly not least, was the dessert bar. Possibly my favourite stall, the dessert bar and photo booth were serving up some awesome matcha soft serve ($5) with Persian fairy floss and sprinkles. The soft serve was a perfect way to round out the meal, it was only light (read: you might have room for seconds) and the matcha flavour was perfect to cleanse your palate. 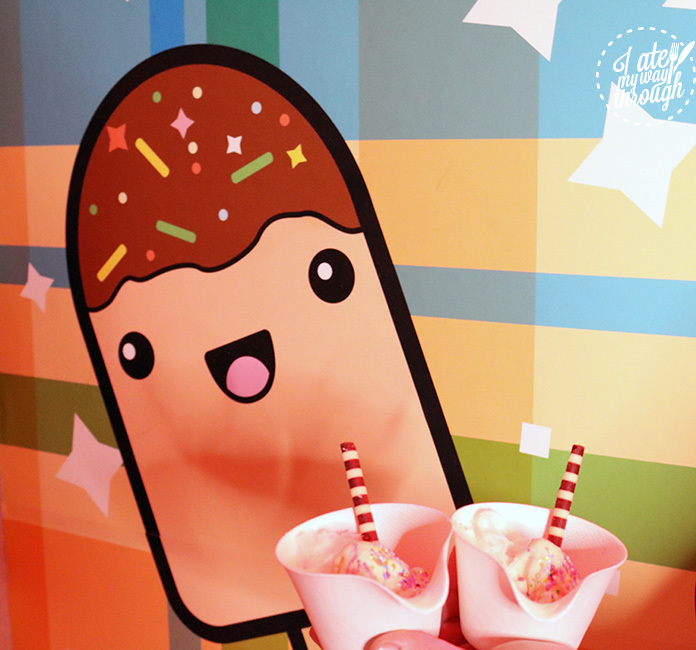 This little cabana with it’s photo booth is great for taking some kawaii selfies with some sweet treats to memorialise your night here. If you’re looking to carry on your evening with some drinks, the bars and cabanas are all stocked with Kirin beers, cider and Japanese tinnies ($10 each). 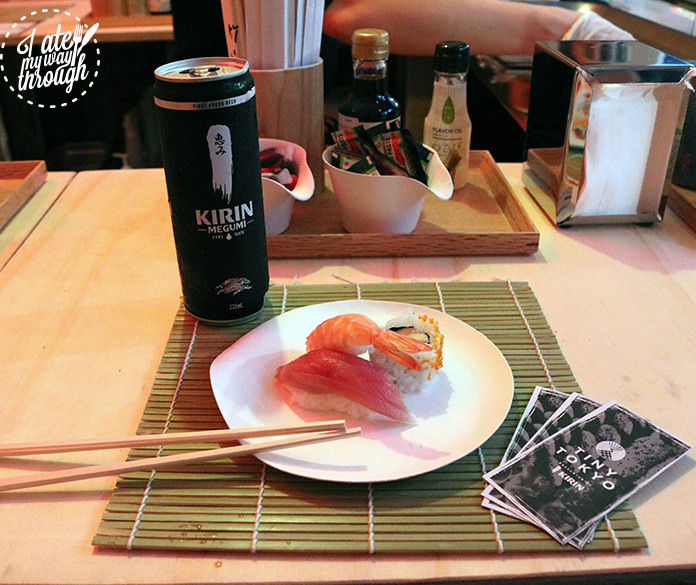 Stocking Kirin Megumi, Kirin Ichiban, Kirin Fuji Apple Cider and Suiyoubi No Neko Belgium white ale cans, you’re not left wanting a choice of drink and each pairs great with the Japanese flavours of the food. 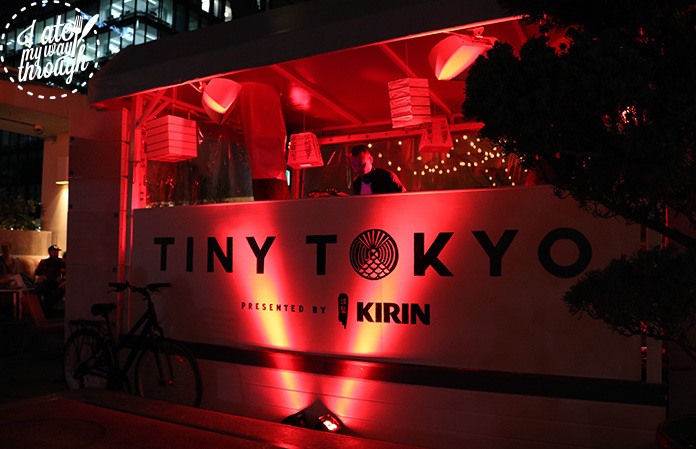 Tiny Tokyo will be running Tuesday to Friday in October with interactive activities like Mario Kart, Japanese art and fashion displays, Hip Hop nights and Japanese DJs. 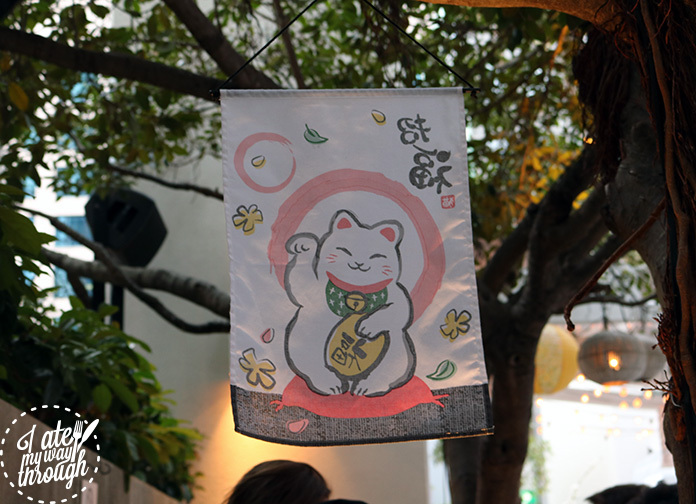 With food in abundance and Kirin flowing, find the perfect Tokyo escape in the middle of Sydney. Previous articleOur top choices at the Night Noodle Markets 2017!